By Allison Coleman, program manager at the National Recreation and Park Association (NRPA), and Ava DeBovis, national network manager at the Alliance for a Healthier Generation. This post was originally published on NRPA’s Open Space blog. In February 2014, the National Recreation and Park Association (NRPA) launched Commit to Health, a campaign devoted to creating healthier out-of-school time (OST) programs in local parks and recreation. This month, we’re celebrating three years of successful implementation, great partnerships, new resources, and stories from communities across the country! Over the last three years, park and recreation agencies have committed to implementing the Healthy Eating Physical Activity (HEPA) standards at their OST sites. The HEPA standards are things like ensuring that a fruit or vegetable is served at every meal, making sure that kids are getting 60 minutes of physical activity in a summer camp program, and providing drinking water at all times to youth and staff. Through implementation of these standards, more than 1270 park and recreation sites have provided increased access to healthy foods and new opportunities for physical activity for more than 228,000 youth. While the impact numbers alone are impressive, there are many reasons to celebrate this initiative—new partnerships have been created, new resources have been developed, and families across the county are eating healthy and moving more. In parks and recreation, we know how important partnerships are to the success of a program. Commit to Health has helped to spark numerous partnerships and collaborations across the country. From local agencies working in collaboration with state health departments, school districts, volunteer groups, YMCAs and Boys and Girls Clubs, to national partnerships with the Alliance for a Healthier Generation and Partnership for a Healthier America, new relationships have flourished. One of the most vital partnerships that NRPA has developed through Commit to Health is our relationship with the Alliance for a Healthier Generation. For three years the Alliance has worked to provide local agencies with guidance, technical assistance and resources to ensure successful implementation of the standards. The Alliance was founded over a decade ago in response to the growing rate of childhood obesity with a goal of ensuring that all kids have an equal chance to be healthy. The Alliance gives kids a chance lead healthier lives by ensuring the places kids spend their time provide and promote good health. More than 10 million kids rely on out-of-school time programs, which is why the Alliance developed its Healthy Out-of-School Time Initiative. The Alliance was a founding member of the national Healthy Out-of-School Time Coalition, a group of experts, researchers, and programming providers—including the Afterschool Alliance—who developed the national National AfterSchool Association’s Healthy Eating and Physical Activity Standards. From these standards and partnerships, the Alliance was able to create a framework and set of online tools for organizations to use while implementing the standards. These implementation resources and expertise are fundamental assets that have helped NRPA’s Commit to Health campaign become a resounding success. These key partnerships have resulted in increased capacity to reach people in communities all over the country, create healthier menus, set goals and develop action plans, and implement nutrition education and physical activity programs. 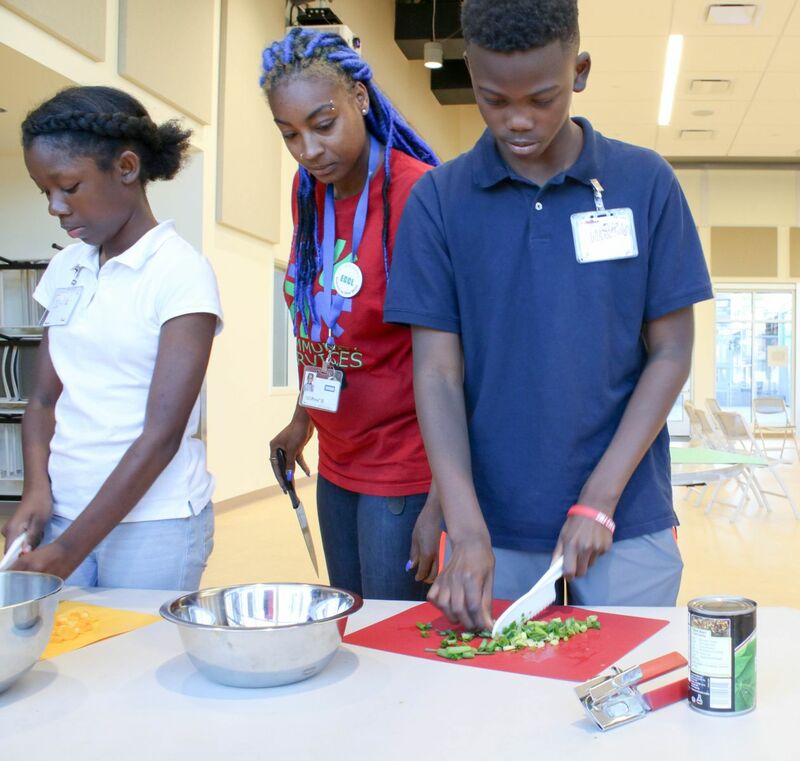 Through the Commit to Health initiative, NRPA has had the opportunity to create an abundance of new resources focused on healthy out-of-school time, including the Foods of the Month (FOM) nutrition education curriculum. FOM is an evidence-based curriculum specifically designed for park and recreation OST programs. Each month highlights two healthy food groups and contains a suite of materials, including lesson planning guides, newsletters, coloring and activity pages, USDA and MyPlate resources, and physical activity lessons. 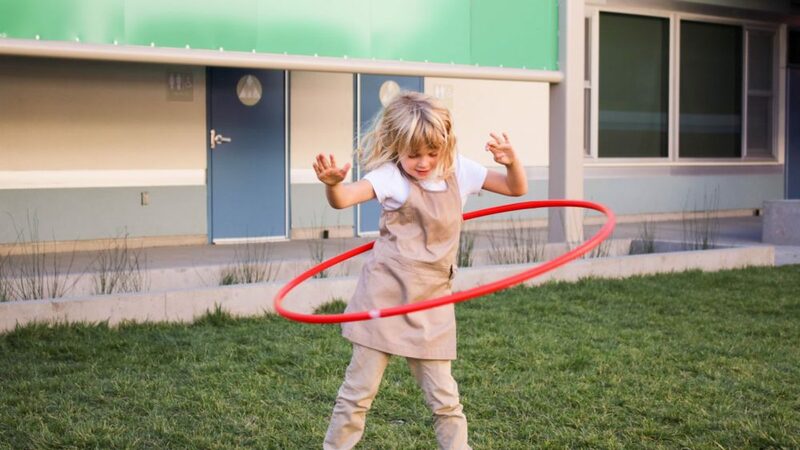 Our evaluation of the FOM materials supports that the curriculum fosters the development of healthy habits and inspires behavior change for kids, parents, and park and recreation staff. In addition, we know that children and families exposed to the FOM curriculum have experienced knowledge gain around healthy foods, and families are increasingly preparing new foods and recipes at home, getting active in their local parks together and cutting back on time spent on digital devices. In an unexpected twist, we’ve also see arts and crafts take on a whole new meaning in summer camps and afterschool programs! Stay tuned for more exciting resources: this year, NRPA will be expanding the FOM curriculum to include a set of community and home gardening resources! NRPA has been working with the Alliance for a Healthier Generation to collect data on the actual standards being implemented in park and recreation sites. This past year we completed our first round of third-party verification through documentation to evaluate the progress and implementation rates of the HEPA standards. While the implementation rates of many of the standards are quite high, the results also illustrated that there is significant room for improvement and growth. One area where the Alliance plans to continue providing support to agencies is around adopting policies that support the healthy eating and physical activity best practices within their programs. Wellness Policies are sustainable reinforcements that communicate to youth, staff, and families that wellness is a part of the agency’s way of doing business and that they are dedicated to ensuring it is a part of their culture. The Alliance recently developed a Healthy Out-of-School Time Model Wellness Policy for park and recreation agencies to assist them with policy development and implementation. This guide includes model policy language, examples from other agencies, and tips for building support for the new policies within programming. There is also still the need for continued technical assistance and resources around engaging parents and caregivers in nutrition education, prohibiting access to television and movies, not serving foods with trans fats, and ensuring that items being served are whole grain-rich. In partnership with the Alliance, NRPA will continue to offer resources, like the upcoming gardening resources, the Healthy Out-of-School Time Framework, and the Smart Food Planner, and expand our technical assistance efforts around these standards that are more challenging. As we reflect on the success of Commit to Health over the last three years, we want to celebrate the healthy changes that have taken place. Parks and recreation are creating healthier communities each day and impacting thousands of individuals along the way. Just check out the progress we’ve made in our 3 Year Anniversary Commit to Health Video! 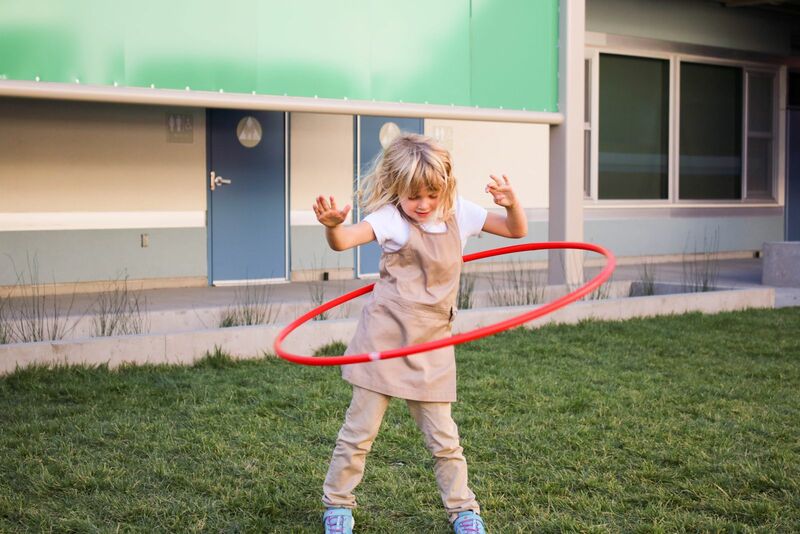 At NRPA and the Alliance for a Healthier Generation, our vision is that every child is given the same opportunity to live a long and healthy life. This is your opportunity to join us and help make that happen! Register your site for Commit to Health and join the national movement for healthy out-of-school time.